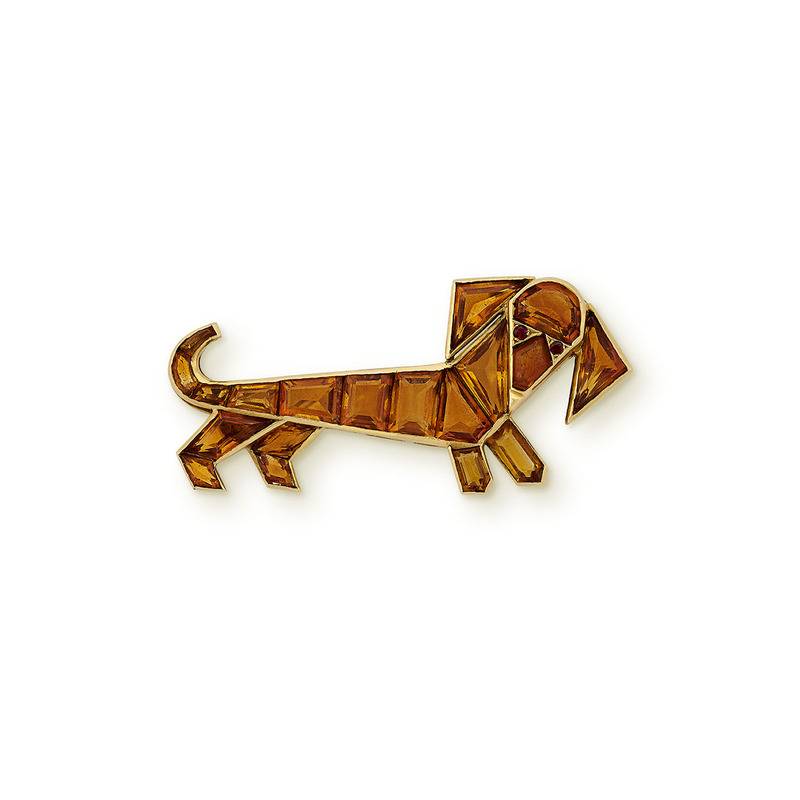 an elegant yellow gold brooch mounted with deeply coloured citrines, in the form of a dachshund with his head cocked to the side, its eyes set with rubies. 5 cm from tail to ear. This item is no longer available. For similar pieces currently in stock, please visit or contact us.